The Coordination team of the World Values Survey Association is delighted to invite you to take part in the 2014 Annual Meeting of World Values Survey Association conducted in conjunction with the International Political Science Association within the framework of the 23rd World Congress of Political Science in Montreal, Canada on July, 18-24 (http://www.ipsa.org/). The 2014 Annual Meeting of WVSA aims to summarize the outcomes of the World Values Survey Wave 6 and consult for suggestions about the future direction of the survey with the scientific and research community. WVS wave 6 is the most successful wave in the history of WVS in terms of number of countries covered in it, and we would like to express our appreciation and gratitude to all the principal investigators, research teams and institutions who contributed to it. 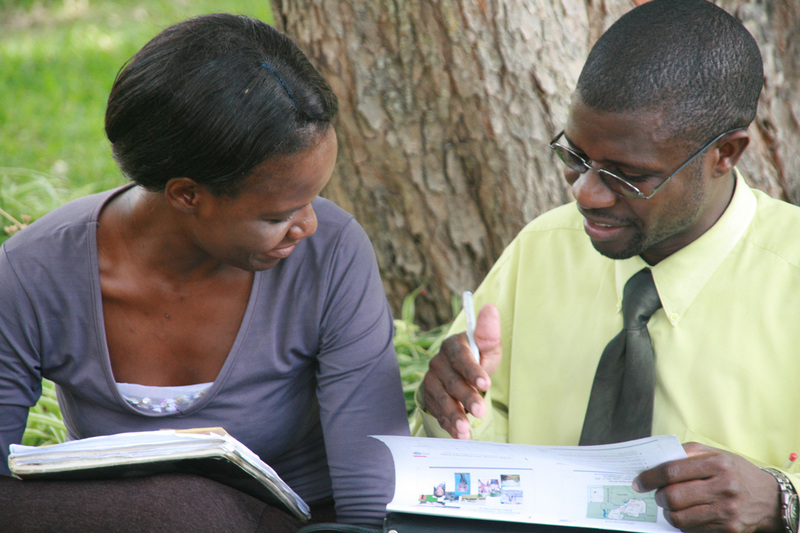 WVSA has a number of scientific and social events planned within the Congress program. Thus, Open Public Reception of the WVSA will be held on Monday 21st July 2014 from 17.00 to 19.00 on the 7th floor terrace of the Palais de Congress, and will include drinks and canapes, and a conversations with the WVSA leadership about “Change plus ca change: New themes, new countries, new developments in the 6th wave of World Values Survey”. With the support of WVSA three Congress Panels were organized: Political Stability and Political Change in North Africa, the Middle East and the Gulf Region, 2005 – 2014 (RC 17); The Civic Culture after 50 Years: Insights from the World Values Surveys (RC17); Trust and Confidence in Elections (RC 23). More information about the scope of WVSA activities could be found in the agenda below. 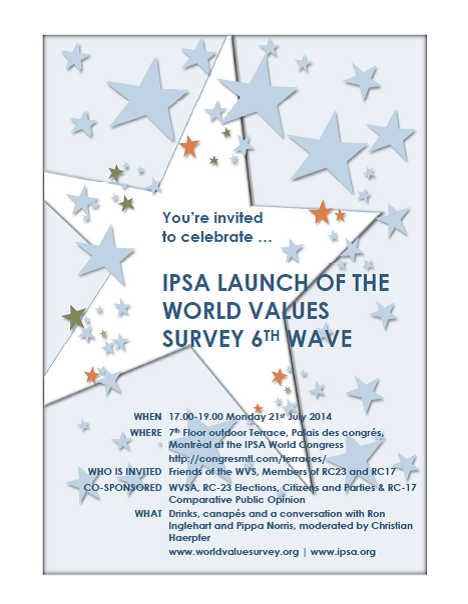 It would be a great honor for the World Values Survey Association to welcome you to join us at the 2014 Annual Meeting of the WVSA! Looking forward to meeting you in Montreal!